CALL THE OFFICE NOW ON: (01403) 730244, LOG IN OR REGISTER WITH US. We were delighted to be able to supply Ironman (Ironwoman actually!) 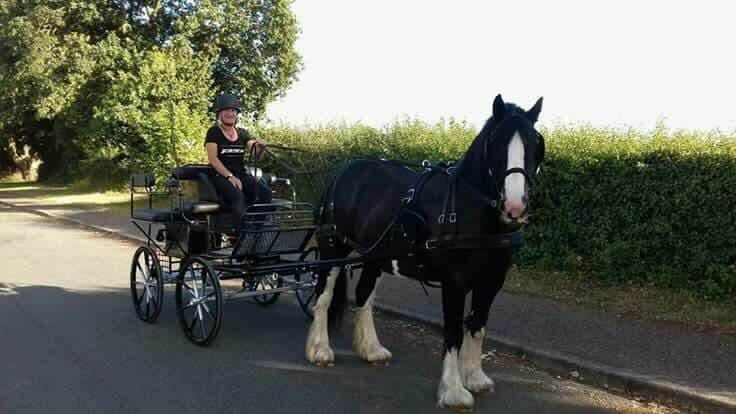 Kate Stannett with a new Pleasuresport carriage for her lovely cob. Kate is one incredible lady, having completed 23 Ironman competitions. For those who are not sure what this means, Kate swims 3.8 kms, then cycles 180km then runs 42kms non stop in these races, which huge success. Kate has qualified for the Kona Ironman World Championships on many occasions. This year she qualified again, but decided that instead of going she would buy her new Hartland Carriage! She opted for a black and silver Pleasuresport with rear disc brakes. This is also competition width(125cms) in case she wishes to turn her competitive talents to indoor driving competitions! We are sure you will agree she made a good choice and the carriage suits her cob perfectly. If anything on our website is of interest to you then please call the office to discuss anything. Hartland Carriages is very much a bespoke sales company and customer service is extremely important to us. We're always happy to help. Joanne is owner and MD of Hartland Carriages. 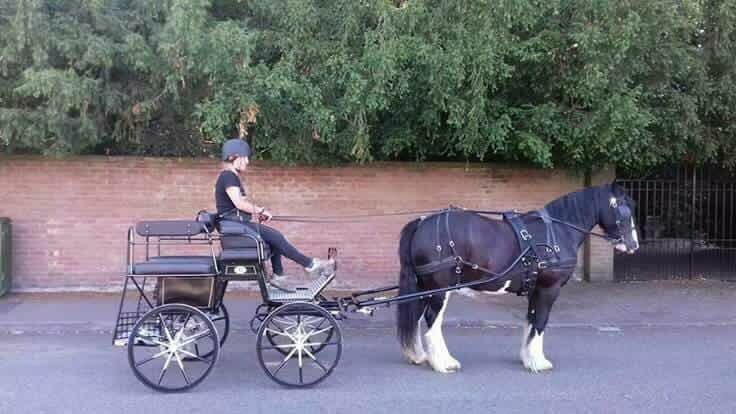 Joanne is a very experienced horse team and horse pairs driver, both internationally and nationally, has been involved in both the design and restoration of carriages for many years, and is also a BDS judge. Michael Hartland is in our office and is also involved in servicing and carriage deliveries. Having been factory trained he is on hand for all technical enquiries. 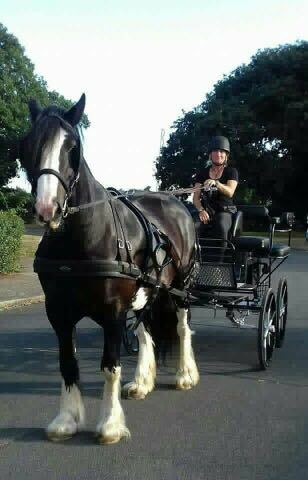 As an experienced horse pair and tandem driver he again can help with driving enquiries.